Second novel in The Amish Bishop Mysteries! 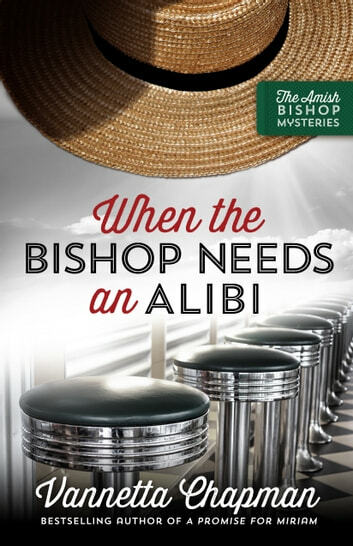 When the Bishop Needs an Alibi by Vannetta Chapman is the second installment in The Amish Bishop Mysteries. Henry Lapp is the bishop of the small Amish community in San Luis Valley, Colorado. Henry is out birdwatching with his beagle, Lexi at the Monte Vista National Wildlife Refuge when he discovers the body of Sophia Brooks. Sophia had been in town for about five weeks where she worked at Maggie’s Diner (Henry eats several meals a week at the diner). Henry could tell that something was troubling Sophia by her nervous and furtive behavior. Henry and Emma Fisher tried to help the woman, but she would not let them assist her. When Henry ends up being the police’s prime suspect in Sophia’s death, he can tell someone is setting him up. It is up to Henry’s friends to follow the clues and clear his name. Henry had done some drawings of Sophia at the diner that aids the group in their investigation. But the killer is willing to go to great lengths to keep his activities under wraps. When the Bishop Needs an Alibi is well-written and has a great main character. Ms. Chapman’s word imagery brings the scenes alive. I like Henry Lapp with his unwavering convictions, strong faith, love of animals, his gentle nature and his unique ability. Emma Fisher is the perfect companion/counterpart for Henry. They nicely complement each other. I thought When the Bishop Needs an Alibi to have a nice, steady pace and full of suspense. I kept reading to see what would happen next. The mystery is complicated, but only a small part can be solved before the reveal. The mystery is one that plays out and we must read to find out how it will turn out (that was disappointing). As most of you know, I prefer a mystery that I can solve. 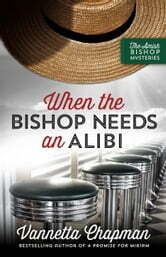 While When the Bishop Needs an Alibi is the second novel in this series, it can be a stand-alone. Everything a reader needs to know is included in this story (about the community, Henry’s ability, what happened to Henry in the past, his relationship with Emma). However, I do recommend reading What the Bishop Saw as it is a wonderful story. My rating for When the Bishop Needs an Alibi is 4 out of 5 stars (I liked it). The ending is heartwarming and so sweet (it will make you smile). There are discussion questions, recipes, and a glossary at the end of the book. I will definitely be reading Who the Bishop Knows when it comes out next spring.